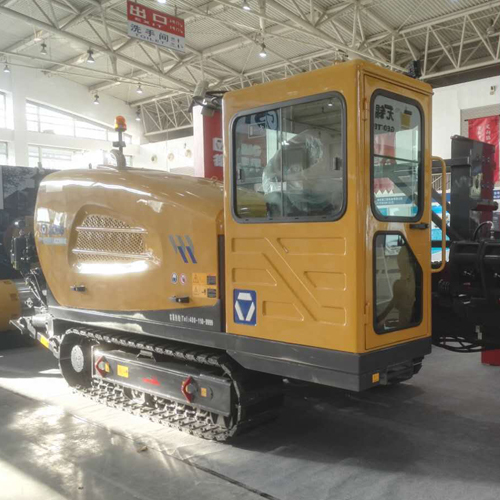 Manufacturer：Xuzhou Xugong Foundation Construction Machinery Group Co.; Ltd.
XZ360E XCMG Horizontal Directional Drilling Rig structure compact, high performance, full-featured, hydraulic pilot control, sliding rack and pinion, the main performance parameters and control technology has reached the international advanced level. Hydraulic systems, power systems, travel system, and the main components are made of leading domestic and foreign products, good performance, good reliability. 2. Carriage and clamp using double floating patented technology can greatly protect the drill pipe thread, increase the service life of the drill pipe. 3. High-speed sliding systems, piston motor to achieve high and low sliding speed of carriage, increasing the ability to adapt the machine working conditions, promote construction efficiency. 4. Optional full-automatic pipeloader, drilling box can accommodate 40 piece of drill pipes (φ73), ensure one time reached 120 meters, efficient automation construction, reduce construction costs and labor intensity. 5. 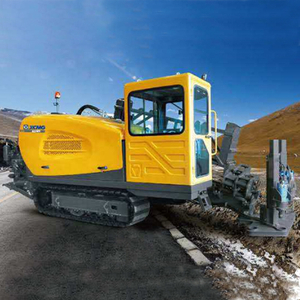 Support the diverse needs of customers, the machine can option configuration with the automatic (semi-automatic) full-automatic pipe loader, automatic anchoring system, cab, air conditioning wind, cold start, freezing mud, mud washing,mud throttling and other devices. Choose Dongfeng Cummins turbocharged engine, strong power, emissions meet China III emission standard. 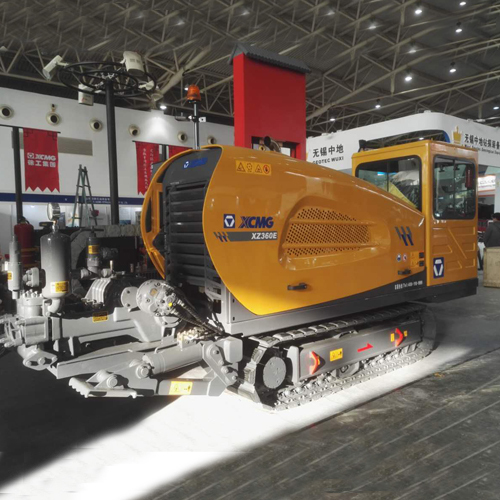 The XZ360E XCMG Horizontal Directional Drilling Rig completed by rack and pinion sliding action, floating carriage device can effectively protect the drill thread, variable-speed motor to achieve sliding. Using a hydraulic pilot control, hydraulic components are domestic first-class brand. Most important parts of hydraulic system are made of leading domestic and foreign products, good performance, good reliability. Five pumps coordinated action to complete the working, a reasonable allocation of engine power. XZ360E XCMG Horizontal Directional Drilling Rig uses classic H-beam structure, high quality rubber track, site adaptability, high reliability, breaststroke leg structure, large cylinder support, good stability, Eaton traveling device, stable performance, walking speed can reach 2.6km /h. 400L mud pump with a large flow, can meet most of the construction needs, winter construction can be increased with antifreeze systems with mud and mud cleaning system for the whole routine maintenance. Collaboration with professional bodies, cab, console ergonomics analysis and research, fully considered during the operation operator comfort and instrument layout is reasonable, can be increased with the cab, air conditioner, reduce labor intensity, improve the efficiency of the operator. 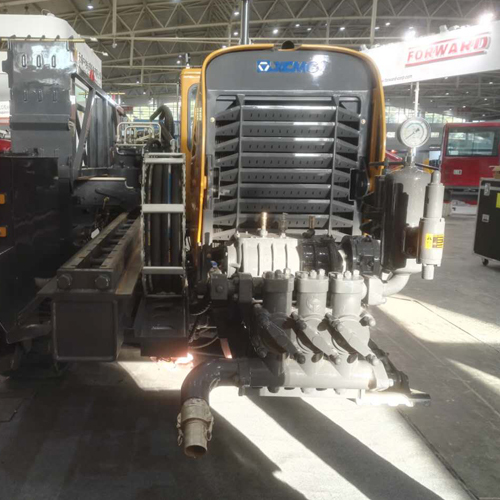 XZ360E XCMG Horizontal Directional Drilling Rig can option configuration with the automatic semi-automatic pipe loader, used rotating structure to achieve handling drill semi-automatization, also can option automatic full-automatic pipe loader, to achieve handling drill automation. Optional Full-automatic pipeloader, Drilling box can accommodate 40 piece of φ73×3000 drill pipes or 27 piece of φ83×3000 drill pipes , this system can add pipe capacity for long distance construction efficient automation construction, reduce construction costs and labor intensity. 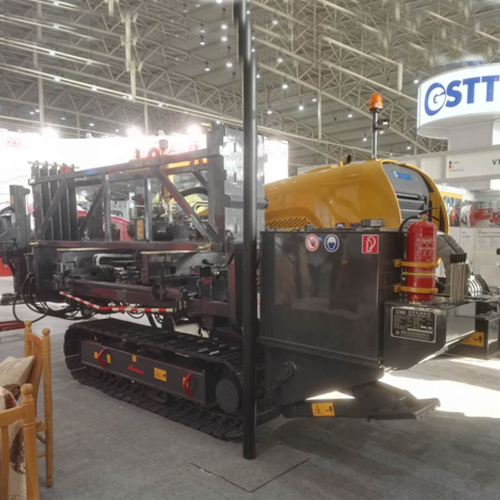 XZ360E XCMG Horizontal Directional Drilling Rig with normal anchor, also can option automatic anchor help push and drill, highly automated and great power, reduce labor intensity. With the continuous improvement of technology, we are unable to inform you of the product change effectively!